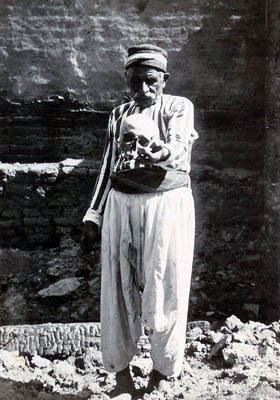 The Adana Massacre was the second series of large-scale massacres of Armenians to break out in the Ottoman Empire. 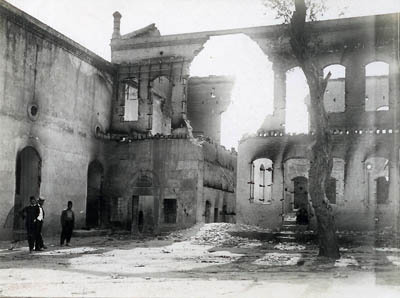 The atrocities committed in the province of Adana in April 1909 coincided with the counter-revolution staged by supporters of Sultan Abdul Hamid (Abdul-Hamid) II (1876-1909) who had been forced to restore the Ottoman Constitution as a result of the 1908 Young Turk Revolution led by the Committee of Union and Progress (CUP). 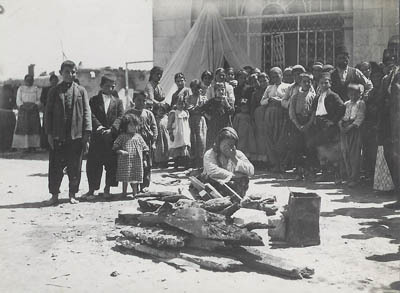 A prosperous region on the Mediterranean coast encompassing the old principality of Cilicia, once an independent Armenian state between the eleventh and fourteenth centuries, the province of Adana had been spared the 1890s massacres. 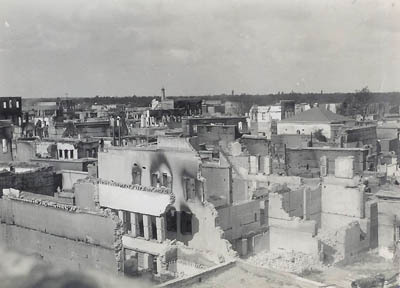 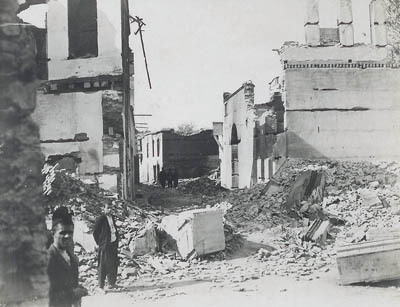 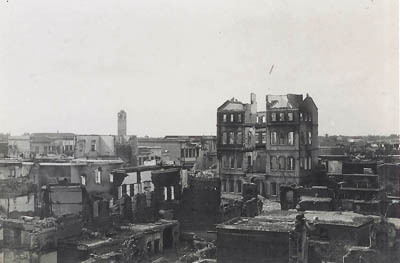 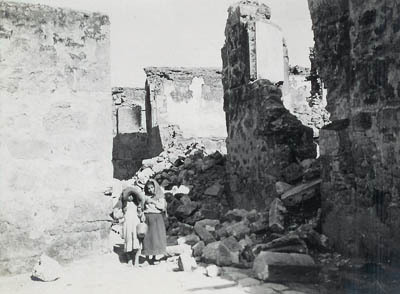 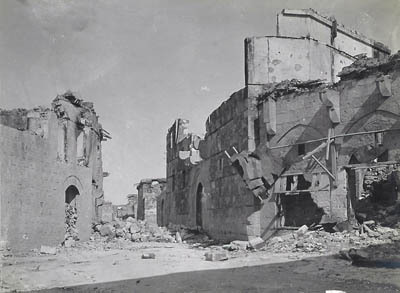 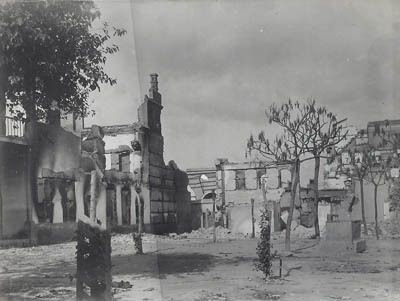 The disturbances were most severe in the city of Adana where a reported 4,437 Armenian dwellings were torched, resulting in the razing of nearly half the town and prompting some to describe the resulting inferno as a "holocaust." 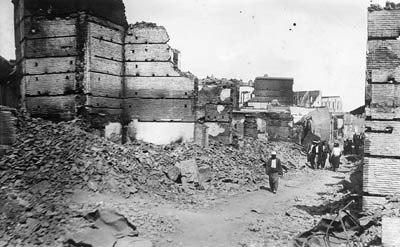 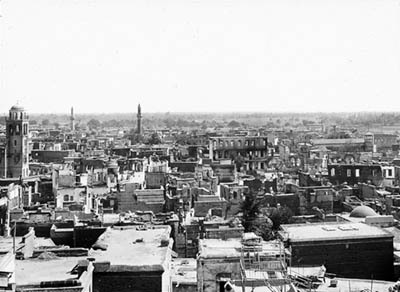 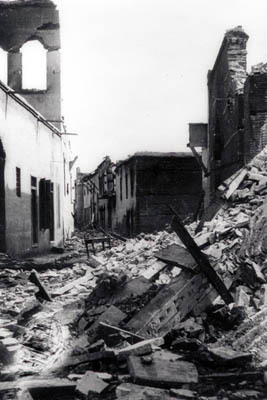 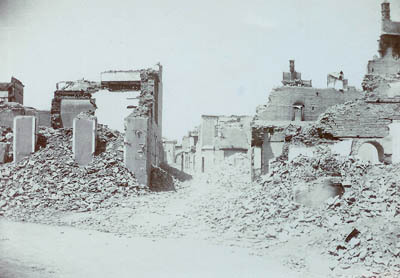 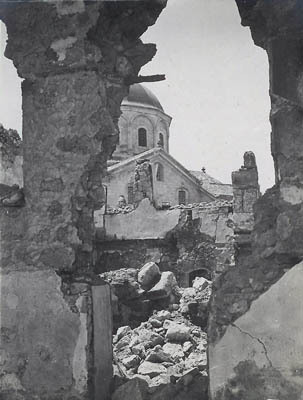 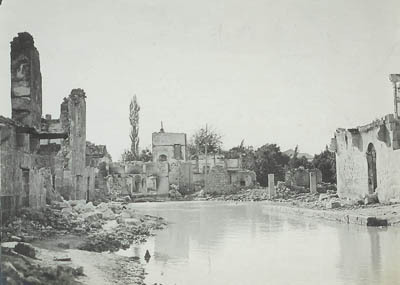 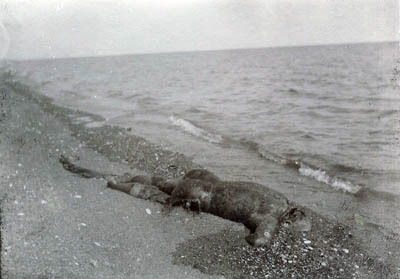 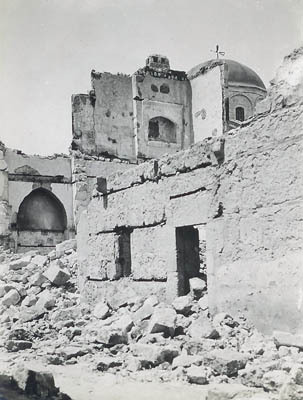 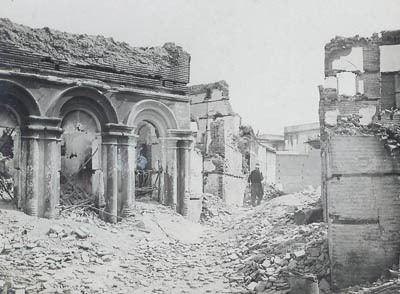 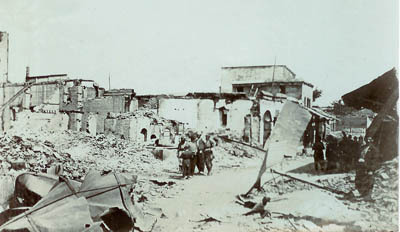 The outbreaks spread throughout the district and an estimated 30,000 Armenians were reported killed. 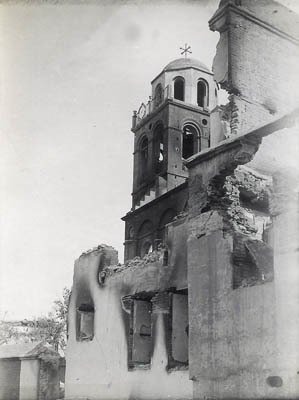 While attempts at resistance in Adana proved futile, and Armenians in smaller outlying villages were brutally slaughtered, two towns inhabited mostly by Armenians organized a successful defense. 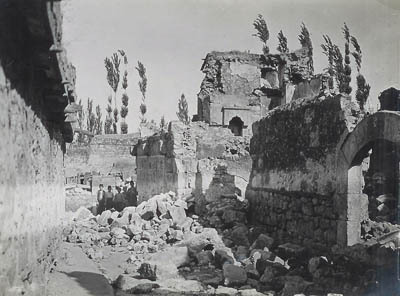 Hadjin (Hajen in Armenian) in the Cilician Mountains withstood a siege, while the 10,000 Armenians of Dortyol (Chorkmarzban in Armenian) held off 7,000 Turks who had surrounded their town and cut off its water supply. 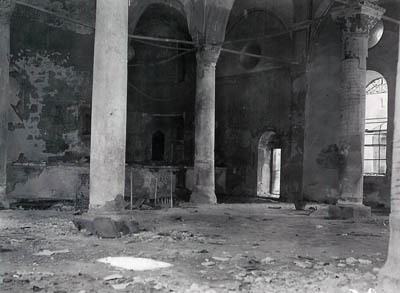 The intensity of the carnage prompted the government to open an investigation, but the failure to prosecute dashed Armenian expectations of liberal reforms by the new regime. 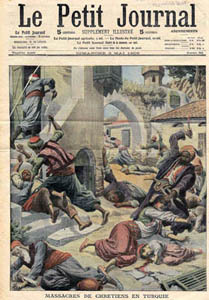 The reactionary elements of the Ottoman Empire were suspected of instigating the massacres to discredit the CUP, but the Young Turks were also implicated. 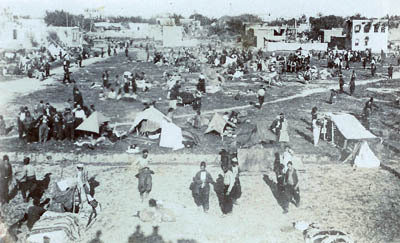 The Adana Massacre exposed the twin composition of the Young Turk Movement, which consisted of both liberal and radical nationalist elements. 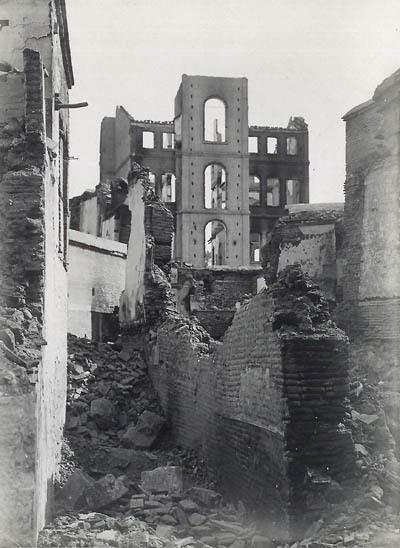 It also demonstrated the convergent interests of the nationalists with the reactionary and conservative elements of Ottoman state in their policies toward a progressive-minded minority. 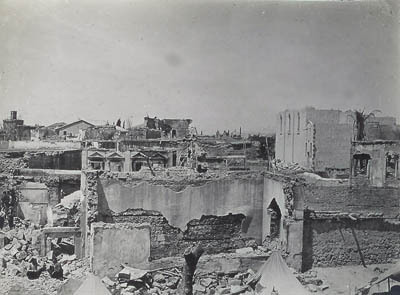 For the Young Turks, the Adana Massacre proved a rehearsal for gauging the depth of Turkish animosity in the Ottoman Empire toward Christian minorities and for testing their skills in marshaling those forces for political ends. 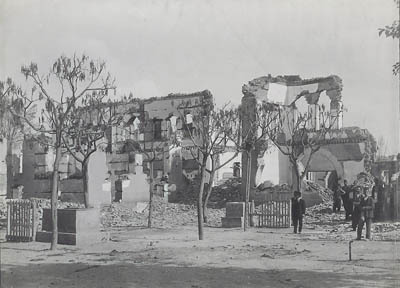 Despite the restoration of a constitutional government, the specter of mass violence was reintroduced as a mechanism of state power. 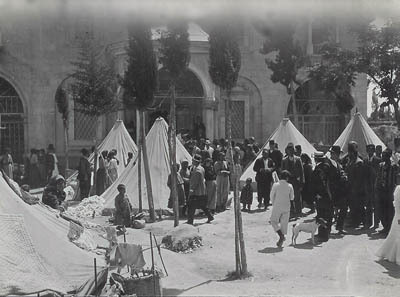 Two commissions were set up after the massacres. 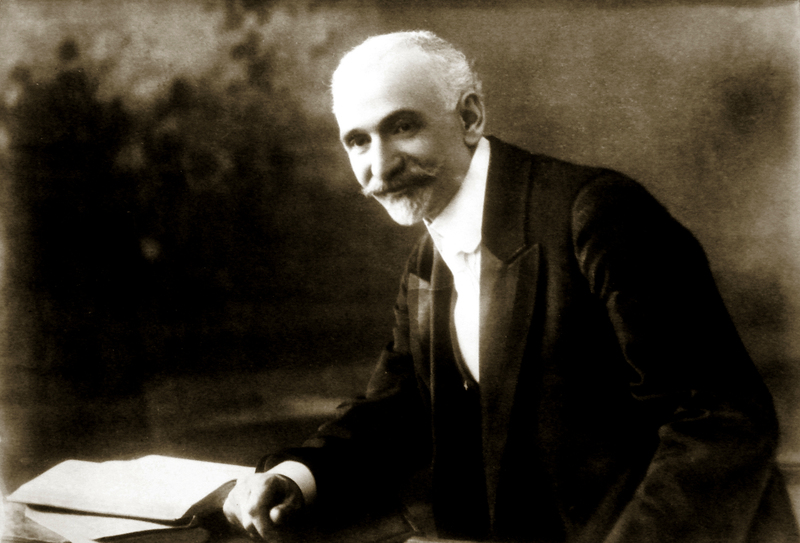 One of them was formed by the Ottoman Parliament (members of the commission were Hayk Papikyan, Harutyun Mostichyan, Yusuf Kemal, Fayid Bey), the second was formed by the Armenian Patriarch of Constantinople. 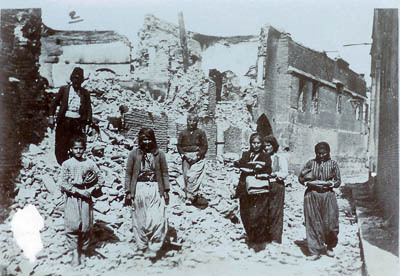 The commissions investigated the causes and consequences of massacres and submitted the official reports. 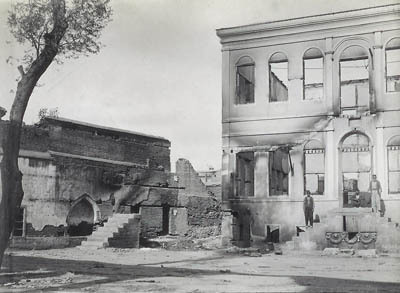 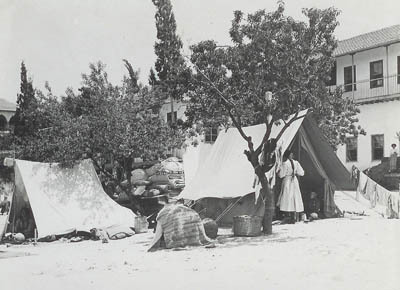 In those reports the Governor Jevad Bey, the Commander Mustafa Remzi Pasha and the local authorities that implemented their orders at the local levels, were mentioned as responsible for massacres. 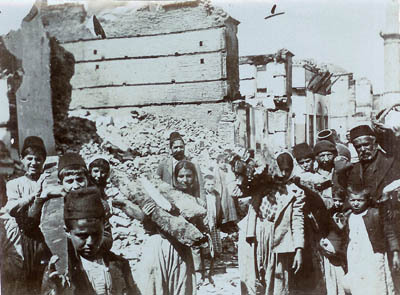 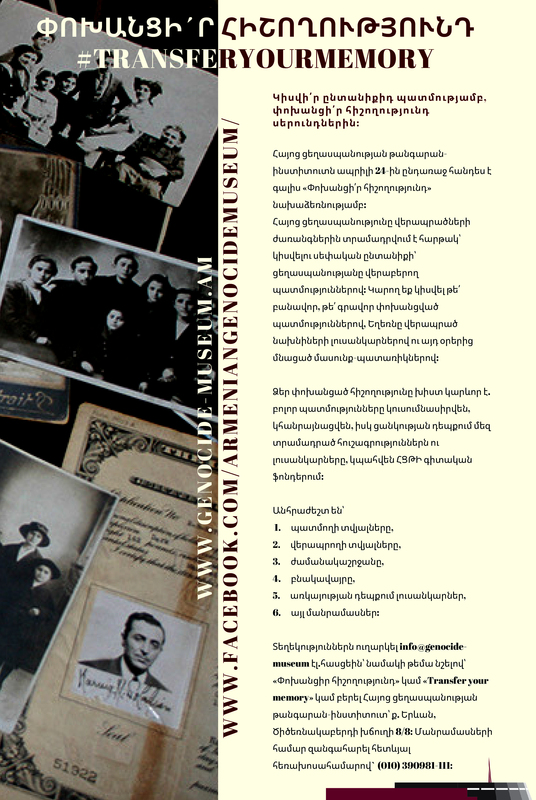 The investigations revealed that more than 30.000 Armenians fell victim to massacres. 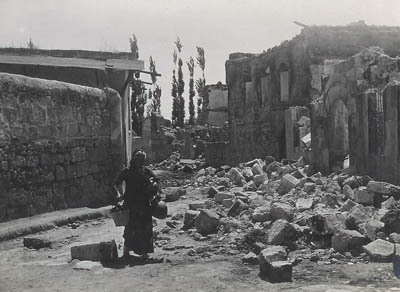 The total damage of the Armenians was equal to 20 million Turkish Liras. 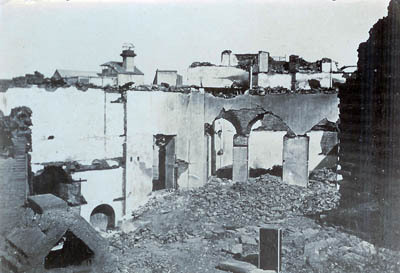 24 churches, 16 schools, 232 houses, 30 hotels, 2 plants, 1429 cottages, 253 farms, 523 shops, 23 mills and many other public buildings were burnt. 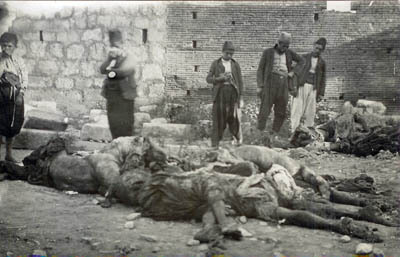 The Young Turks launched formal investigation trying to evade the responsibility for the massacres. 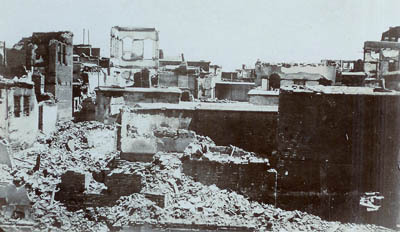 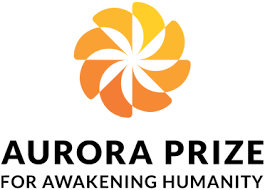 However the organizers and the figures responsible for the massacres remained unpunished. 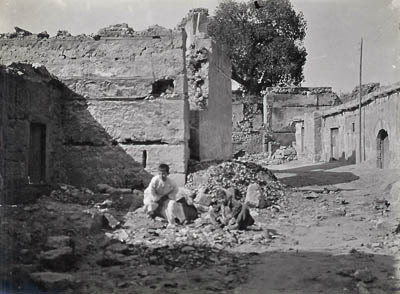 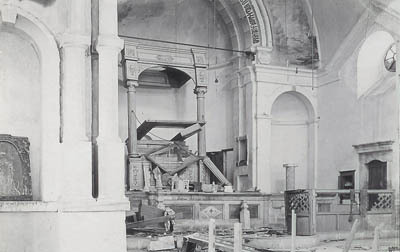 The original photos included in the on line exhibition are from the recently found collection comprising more than 70 mostly unpublished pictures taken in April and May of 1909 in Adana and it's contiguous districts.